Social media marketing is an excellent and often inexpensive way to promote your business online. You can use social media to generate buzz, build brand-name awareness, advertise your latest promotion, or even land a quick sale. In this article, we’ll go over 56 social media marketing tips to help jumpstart your business. We’ll break them down by social media channel. It’s important to optimize your LinkedIn profile just like you optimize articles in your content marketing efforts. Make sure that your profile is filled with keywords relevant to your niche. Also, think about keywords that prospective clients or customers might use when searching for your kind of business on LinkedIn. Put those in your profile as well. 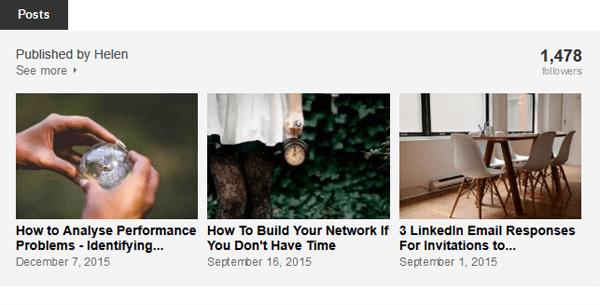 LinkedIn gives you an outstanding opportunity to do some content marketing on its own platform. You should take advantage of it. Take some of the more popular articles from your blog and rewrite them into short summaries. Publish those summaries on LinkedIn with a link to your original content. When you post articles on LinkedIn, you’re demonstrating that you’re an authority in your space. Hopefully, you’ve got a few happy customers. Ask them to recommend you on LinkedIn. Get several recommendations and transform LinkedIn from social media to social proof. You want to know how well your marketing efforts are paying off, don’t you? That’s why you should track the traffic your website receives from LinkedIn. Use your favorite analytics tool (Google Analytics will work just fine for this) to monitor how much traffic your site receives from LinkedIn. If you see that it’s increasing after you ramp up your LinkedIn marketing, then you know you should put even more resources into it. Although you might view social media as a channel for “free” advertising, it’s also a great place to run paid ads. Consider running sponsored updates on LinkedIn. Why? Because it’s a great way to get your awesome content in front of people who might become clients or customers. Of course, you’ll first have to create some awesome content for this to work. See the tip above about publishing on the LinkedIn platform. You don’t have to rely solely on text when you create your LinkedIn profile. You can add visuals as well. Feel free to throw a professional portfolio or an image in your profile. It might help you attract more business. Beyond adding visuals to your profile, how about adding a SlideShare presentation? Yes, you can do that. Insert a presentation that shows off how much you know about your business. It will impress the right people. LinkedIn discussion forums also give you an opportunity to strut your stuff. Join discussion groups that are relevant to your business. Offer valuable insight on some of the hottest discussion topics. Also, monitor the groups for people who are asking questions related to your expertise. Answer them. When you answer questions, you leave people with the impression that you’re helpful and you’re an expert in your industry. Don’t think that you have to join a huge group just to make a statement on LinkedIn. You can (and should) join small groups as well. That’s especially important if you’re running a local business and looking for customers in your area. Join some of the local networking groups to generate a little bit of buzz about your business. It could make all the difference. Can’t find a group that fits your brand? Start one! Yes, you can start your own group on LinkedIn. Take advantage of that feature to promote your business. If your group generates a healthy following, you’ll also establish yourself as an influencer. You can tag connections on LinkedIn just like you can tag friends and followers on other social media platforms. When you share something on LinkedIn, think about which of your connections might benefit from it. Tag them. How does that help? It shows that you value the people in your network. As a result, they’ll more likely value you in return. Do you know about the LinkedIn Matched Audiences tool? It’s a great way to promote your business. You can use it to retarget people who’ve visited your website, upload existing accounts, or add email contacts that you can target in ads. Sure, you’ll spend some money in ad costs. But it’s a worthwhile investment because you’ll reach people who’ve shown an interest in your brand. Email marketing doesn’t just exist with services like MailChimp and GetResponse. You can do some email marketing on LinkedIn as well. It’s called InMail. You can use it to contact anybody on LinkedIn. Unfortunately, InMail is going to cost you money. You’ll have to upgrade to a premium account. Once you have access to InMail, be careful about how you use it. LinkedIn users don’t like spam. If you want your Facebook status update to stand out from the crowd, you should post it when the crowd is as small as possible. In other words, post during Facebook non-peak hours. Most people publish to Facebook during business hours. Why not give yourself an advantage by posting during non-business hours? Then, check your analytics to see if your off-hours posts have a higher engagement rate. Are you looking to generate more engagement with your Facebook posts? If so, then encourage that engagement by asking questions. When you ask questions, you’re tempting people to answer. If they give in to that temptation, you’ll generate some engagement. That will add some visibility to your post. What are your fans really looking for in a Facebook status update? You might not know if you don’t experiment. Try uploading a video if you haven’t done so already. Also, try really long text updates. Or really short ones. Play around with different formats to see which ones resonate best with your audience. Just as you can create your own group on LinkedIn, you can also create your own group on Facebook. That might be a great way to boost your brand. Once you’ve created your group, start by promoting it to your fans. Then, encourage group members to promote it as well. Soon, you’ll have two followings on Facebook: people who follow your business account and people who are members of your group. Facebook advertising is an inexpensive way to reach people in your target market. You should make use of it. One of the best features of Facebook advertising is that it allows you to target people based on demographics and interests. That way, you can reach market segments with an ad that’s more personalized. You might be surprised to learn that you can pin a post on Facebook. If you have a status update that got a lot of engagement or is otherwise intriguing, consider pinning it. That way, it can get even more attention. A Facebook vanity URL is one that reflects your brand name better than the default URL that Facebook assigned to you when you created the page. You’ll have to get 25 likes to earn the right to a vanity URL, but that shouldn’t be a problem. Once you’ve got those likes, switch to a more marketable URL. Contests are a great way to increase your reach and get more engagement. Fortunately, Facebook is a perfect place to host a contest. There’s no shortage of ideas and tips online that will help you launch a contest that will benefit your business. One great way to stand out from the crowd on Facebook is to give people something a little different when they visit your page. For example: a custom tab. Yes, you can create a custom tab on Facebook. Take some time to brainstorm up an idea or two about how a Facebook custom tab can benefit your business. Facebook Live is a fantastic way to alert your fans about something great that’s happening with your business right now. Fortunately, it’s also easy to use. Even better: people who can’t watch you live can still watch later as the video is recorded and accessible from the Facebook platform. Facebook Live is an especially great way to promote your business when you’re at trade shows. Emoticons will help your post stand out. That’s because not everybody uses them. A lot of your competitors probably don’t use them, either. Just be careful that you don’t overuse them. That could seem contrived. You don’t have to come up with something original every time you post. In fact, you shouldn’t even try to. Check your analytics. Find some content from months ago that received a lot of engagement. Repost it. Chances are good that many of your new fans hadn’t seen that post. They’ll appreciate the repeat. One of the best ways to keep the “social’ in social media is by sharing user-generated content. When you do that, you’re telling fans that you’re engaged with them. Some of them will likely thank you by engaging more with your Facebook posts. Also, feel free to ask for user-generated content from time to time. That’s a great way to increase engagement as well. If you’re using for Instagram for marketing and haven’t yet switched to a business profile, then you should do that now. 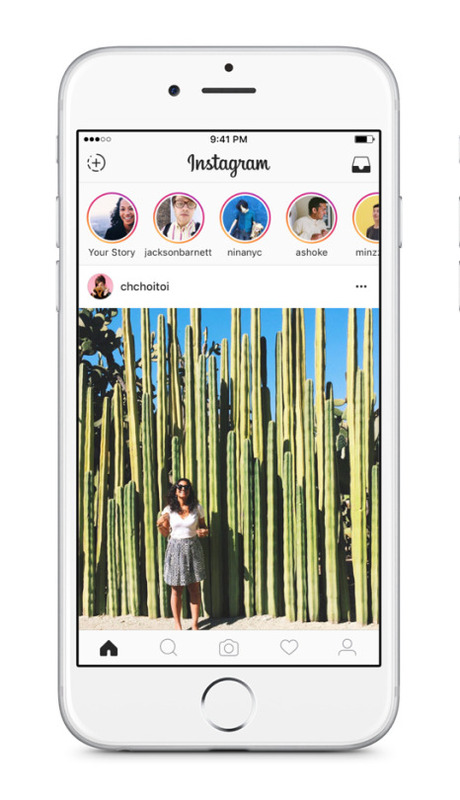 Hopefully, you’re familiar with Instagram Stories by now. They’re a collection of photos and videos in slideshow format. Use Stories to… well… tell a story about your brand. Make it something that’s both visually appealing and relevant to your target audience. Give your Instagram posts more visibility by using both hashtags and location tags. According to a report by TrackMaven, nine hashtags seems to be the optimal number. Don’t worry if you can’t post that many, though. A few will do fine. When you tag your location, you’ll make it easier for people in your area to find you. One of the downsides of using Instagram for marketing is that it doesn’t allow users to post links. That’s not a problem with ads, though. Your Instagram ads can include a call-to-action button that will take people to your landing page. From there, it’s all up to you to close the sale. Want to get more followers on Instagram? Promise all your followers a discount. People will happily follow you on social media if it means they can save money. Take a brief customer testimonial and add it as a quotation over an image related to your brand. Then, post that image on Instagram. That’s a great way to deliver some social proof to your followers. This is one of those pieces of advice that applies to all of social media: respond to comments. On Instagram, comments tend to get ignored because of their font size and location on the screen. Don’t fall into that trap. Instead, read what your followers are saying about the content you post. Reply when appropriate. Find other Instagram users in your area, especially people who are part of local trade groups or the Chamber of Commerce. Then, follow them on Instagram. They might follow you back. Although you can’t add linked elements to your “standard” Instagram posts, you can put a call-to-action (CTA) in your bio. And you should do that. Why? Because people will often look at your bio to learn more about your brand. The CTA will bring them to your site, where you can further promote your business. How much free time do you have? Probably not a whole lot. Neither do your YouTube subscribers. That’s why you should keep your videos short. Make them straight and to the point. Get your marketing message out quickly so that viewers aren’t tempted to bail before they even get to the part where you try to close the sale. It’s way too easy to “go cheap” when it comes to making a video. In fact, YouTube almost encourages low-quality productions with its lack of a screening process. Still, you should aim for high-quality videos. Remember: videos are the face of your brand. Let potential customers know that you’re a first-class outfit with productions that appear professionally made. 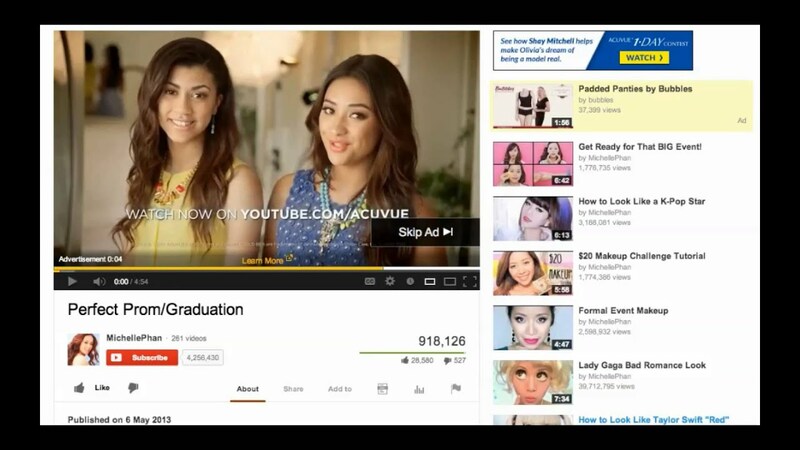 As is the case with so many other ad platforms, YouTube advertising offers remarketing. Give people who visited your website a second shot at becoming paying customers by advertising to them on YouTube. That might be all the incentive they need. There might be a few YouTube channels out there that appeal to people who are in your target market. If so, run ads on those channels. You could land some more customers. Although you can advertise on a specific channel, that might still be too broad for your marketing efforts. Instead, it might be better to run ads on a single video. Find a particularly popular video that continues to get engagements and is relevant to people in your market. Then, run your ad on that video. If you have to convince people that you’re a professional who’s really smart, then YouTube can be one of your best friends. After a while, you’ll earn a reputation as an expert. That’s what you want. YouTube will happily make a thumbnail for your video. Unfortunately, that thumbnail is usually just a screenshot taken at random. It doesn’t always look that great. That’s why you should fire up Adobe Photoshop or your favorite graphics utility and create your own thumbnail. Use that instead of the YouTube default. Twitter chats are a great way to increase your brand’s visibility online while also earning a larger following. Here’s how they work: You announce on social media and on your blog that you’ll host a Twitter chat at a specific time and date. You also specify a hashtag associated with the chat. Then, start tweeting at that time and date with that hashtag. Everyone else who joins the chat will use the same hashtag. People will follow the hashtag to keep up with the conversation. If your chat really takes off, then your hashtag could become a trending topic on Twitter. If you’re trying to establish your bona fides as an authority in your niche, you should get verified. When you’re verified on Twitter, that’s Twitter’s way of saying that you are who you claim to be. It also adds some prestige to your account. Fortunately, you can take steps to get verified on Twitter. Twitter limits you to 280 characters or less at this time. You can say a lot more with a short video or a powerful image than you can in 280 characters of text. Stand out from the crowd by using multimedia in your tweets. Leave the boring text to your competitors. Sometimes, customers will tag you on Twitter with a question or complaint. Respond to it. One of the best things you can do with social media is use it to provide outstanding customer service. The people you respond to will appreciate it and others will see that you like to keep customers happy. You might find some great ideas from your competitors. If they’re better at marketing on Twitter than you are, watch and learn. Twitter has an awesome search feature that allows you to find tweets with keywords related to your brand or company. Use it. If you find that people are saying great things about your business, respond with a polite “thank you.” If you see complaints, address them. Moments became a Twitter “thing” back in 2015. Since then, the company has opened Moments to everybody on mobile. Digital marketers have used Twitter Moments to engage with influencers, create recaps from TV shows, and even round up recipes. See if Twitter Moments marketing is right for your brand. One of the best ways to get more engagement on Twitter is to conduct a poll. Fortunately, Twitter allows you to do that with its built-in polling feature. People love polls for two reasons. First, they like voice their own opinion. Second, they want to see the results of the poll. Of course, in order to see the poll results, they have to participate in it. That’s a win-win. Kids these days. They love their Snapchat. They also love to see people or brands with personality on Snapchat. If you’re thinking about jumping on Snapchat just to post boring ad copy, think again. You’ll need to put a human face on your business and run with it on Snapchat. Be funny. Be creative. Be awesome. Snapchat is a great social media channel for introducing people to the employees who make your business great. Go behind the scenes at your office. Get some candid interviews with people who are working hard to deliver your products or services. Show the human side of your business. People will appreciate it. Follow the lead of clothing company Everlane. Use Snapchat to host a Q&A session. If it takes off, consider hosting a Q&A session on a regular basis. 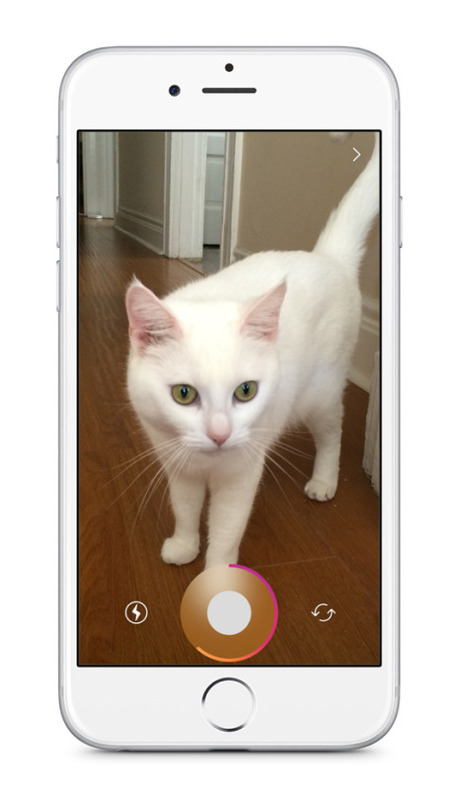 That will help you get customer feedback and build engagement on Snapchat. 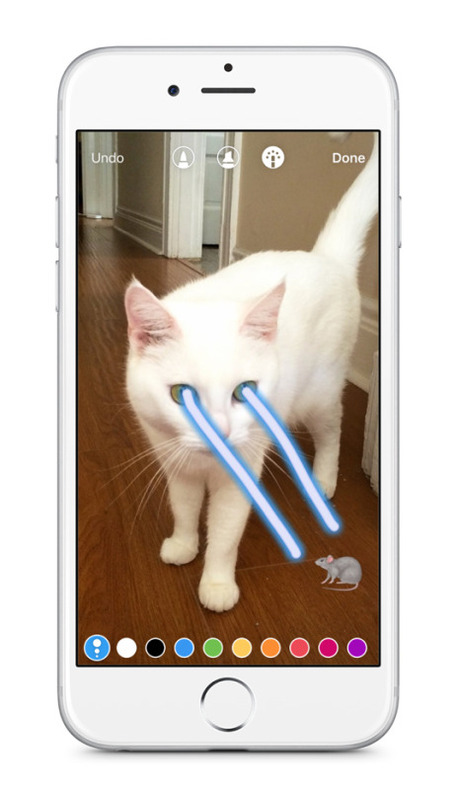 If you’re really serious about making a statement on Snapchat, you might have to outsource content creation. Simply put, it’s tricky to get Snapchat-quality creative when you’re an overworked entrepreneur. You’re too busy putting out fires and handling day-to-day responsibilities. A content creation company, on the other hand, is filled with experts who know just what will appeal to the millennials who use Snapchat regularly. One clever way that you can outwit your competitors on Snapchat is with an Attachment Ad. What’s an Attachment Ad? It’s a 10-second video ad that allows you to attach a link, an app to install, an article, or a longer video. According to one source, Attachment Ads have a 5x better “swipe-up rate” than comparable social media ads. Snapchat offers a publishing tool. Why not use it? With Snap Publisher, you can create slick ads in minutes. You can also edit them from within your browser. That tool is a big help if you’re not a graphics wizard. There you have it: dozens of marketing tips to help you boost your business on social media. If you haven’t done so already, find out which social media sites are best for your brand. Then, pick from the best tips in this list and start using them today.